Do you know the difference between mutual funds and Exchange Traded Funds (or ETFs)? If not, this next video in the Charisse Says series on Modest Money is for you. 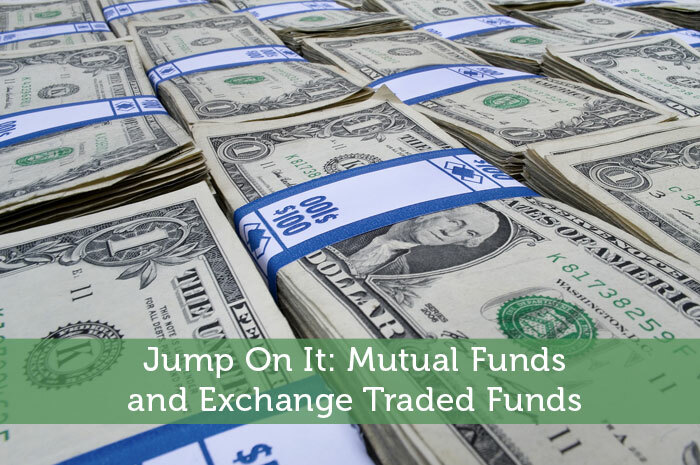 In the video, “Jump On It: Mutual Funds and ETFs”, I explain the basics of mutual funds and ETFs and why they are an important part of your investment portfolio. Jumping on an opportunity with mutual funds and/or ETFs is one of the best decisions that you can make in your financial life. When you see the benefits of your investments, you will want to get up and dance to the Sugarhill Gang’s chart topping hit. Even though you may not know it, most of you probably have mutual funds through your employer’s 401k or 403b retirement plan. A mutual fund is simply a financial vehicle set up by an investment company – such as Vanguard, Fidelity, T.Rowe Price, or JPMorgan, where I use to work. The company issues the shares of the mutual fund and pools your money, along with thousands of other people’s money, and makes investments decisions on your behalf. Put more simply, a mutual fund is the vehicle that reflects a portfolio of stocks. This is great because each mutual fund has its own portfolio strategy and is expected to generate a return for you, and have a certain level of risk. Professional money management. Mutual fund managers try to generate returns above a certain benchmark, like the S&P 500 Index, which I explain further in the video below. An ETF is a financial security that tracks an index, which is a portfolio of securities representing a specific market. In the video below I describe the two most known stock indexes that represent the U.S. market. When you buy an ETF, you are buying shares of a portfolio that track the return and risk expectations of a specific index. These indices are also referred to as benchmarks because they reflect the minimum return you should expect in a particular market. It is a good idea to invest in ETFs because they provide you with the diversification and liquidity benefits of a mutual fund without the cost of a professional money manager picking the stocks. So if there is no money manager to pick the stocks for you, how do you pick good mutual funds or ETFs? You can pick ETFs and mutual funds for yourself in your brokerage account, or you can ask your human financial advisor to do it for you. A third option is to get a robot advisor, which will pick a basket of ETFs for you. Next week, we will talk more about robot advisors. For now, watch the video below and get ready to want to get up and dance and then jump on some serious investing opportunities.